It’s almost the end of the year now, and nearly two months since Aung San Suu Kyi was released, but I haven’t quite gotten over the dopamine rush of that event. I’ve been waiting a long time to see her a free woman. Not as single-mindedly and passionately, to be sure, as her loyal Burmese followers, but waiting, nonetheless, with some anxiety but also with a conviction of sorts, that she would be able to tough it out. That she would never ever give in to the junta, and one day they would have to let her go. Just like that. So when I saw the video of her first appearance before her followers, I expected to feel lofty and profound emotions. But all I found myself doing was worrying that she might injure herself, or at least cut her fingers on the wicked looking spikes on top of the closed gate of the compound where she had been confined. She was behind the gate but someone had put a table or something for her to stand on, so you could see her quite clearly. She was smiling but those damned spikes were getting in her way. At one point she even rested her forearms on them. Then someone from the crowd handed up a bouquet of flowers. She tied a spray to her hair, it might have been her trademark jasmine. Whatever it was, it did the trick for me. All was right with the world. When the first signs appeared that Suu Kyi would be released, but before the experts could hold forth on the possible reasons behind the junta’s motives for freeing her, quite a few reports (The New York Times, the BBC, The Inquirer.com, etc) pressed into service the convenient phrase “the power of the powerless” to provide at least a broad, partial explanation of why Suu Kyi had prevailed over her captors. Ambiguous as the explanation was it was certainly not incorrect. When she was awarded the Nobel Peace Prize in 1991 (accepted by her son, Alexander) the Chairman of the Nobel Peace Prize Committee, Francis Sejersted, had described Suu Kyi as “an outstanding example of the power of the powerless”. This clever oxymoron had been thought up by the Czech playwright, dissident and political leader, Vaclav Havel, as the title for an essay, “Moc bezmocných“, in its original Czech, which appeared sometime in October 1978. It soon became one of those rare pieces of political reflection that outlive their time of birth and come to be regarded as a classic. The piece was written in a hurry, as Havel later mentioned, and was intended not as an academic or literary exercise, but as a call to action for all dissidents in Eastern Europe and the Soviet bloc. In fact after its publication in a volume of essays on freedom and power, Havel and some of the other contributors to the volume were arrested. Havel’s plays are marvelously accessible. I saw a BBC (or ITV?) performance of Audience, an absurdist drama of an hour of Havel’s life after he was banned from the Czech theatre and forced to take a job in a brewery. It is the only thing on TV that’s ever made me deeply depressed and weak with laughter at the same time. On the other hand I have always found the dense 76 odd pages of “Power of the Powerless” heavy going. I have tried to cobble together a simple précis of Havel’s thesis, as I consider it one of the few political documents from that period that is still relevant to understanding the “theoretical underpinnings” of repressive regimes and systems in our day and age. Moreover, and more crucially, the essay provides a genuinely doable, though painful and high-sacrifice way, for the oppressed to successfully challenge their oppressors. Havel then opens people’s eyes as to the nature of the power that held them in subjugation. He maintained that this power should not be mistaken for the instruments of that power: the military, the secret-police, the bureaucracy, the propaganda, the censors, et al. Though the regime still had its torturers and labor camps and was still capable of tremendous and arbitrary cruelty, the true source of its power lay in its ability to coerce people in a variety of ways (even with consumerism) to “live within the lie”; i.e. to accept the complex web (or for sci-fi fans, the “matrix”) of lies it had created to provide a cover of justification for its perpetual hold on power. Because post-totalitarianism was so fundamentally based on lies, Havel maintained that truth “in the widest sense of the word” was the most dangerous enemy of the system. The primary breeding ground for what might be understood as an opposition in the post-totalitarian system was “living within the truth”. This operated initially and primarily at the existential level, but it could manifest itself in publicly visible political actions as street demonstrations, citizens associations and so on. Havel mentions the creation of Charter 77 by Czech writers and intellectuals, who demanded that the government of Czechoslovakia recognize some basic human rights. It was a far from radical document but the Communist government cracked down hard on the authors and signatories. But it inspired subsequent efforts. My last post but one, was about the student demonstrations in Tibet in October, which I think fits in nicely with Havel’s “living with the truth” and as an expression of “the power of the powerless”. The Tibetan plateau hasn’t had a major rock concert yet but a young singer from Amdo, Sherten, has released a Bollywood style music video extravaganza “The Sound of Unity” calling on all Tibetans from the three provinces of the “Land of Snows” to unite (against you know who). Even such counterrevolutionary characters from “the bad old days” as an aristocrat lord and lady from Lhasa (in full regalia) are conspicuously depicted in one segment to press home the message of Tibetan unity. Two other similar music videos (“The Telephone Rang“, and “Mentally Return“) have appeared, with similarly subversive messages calling on “ruddy face” Tibetans to unite and await the return of “The Snow Lion”. In spite of the effort by the lyricists to hide their political meaning behind euphemisms and double entendre, such compositions are not without risk. A year ago, the singer Tashi Dondrup, was arrested for his bestselling album, Torture Without Trace, and in 2008 the singer, Jamyang Kyi was incarcerated and tortured for “subversive activities”. Havel saw the significance of such singers and musicians in social and political revolutions, and he supported the Czech rock group, The Plastic People of the Universe, which the Communist government had harassed and forced underground, and whose members were arrested and prosecuted in 1976. The Plastic People and Havel were in turn great admirers of the subversive music of the New York based Velvet Underground. Havel once told Salman Rushdie that the final non-violent revolution of 1989 that overthrew the Communist government was called the “Velvet Revolution” after the American band. Rushdie thought that Havel was joking but later found out that Havel had said exactly that, and quite seriously, to Lou Reed, the principal songwriter for the Velvet Underground. Tibetan scholars, writers and students have, since the late nineties, effectively used the internet to communicate with each other and spread their writings around the world. 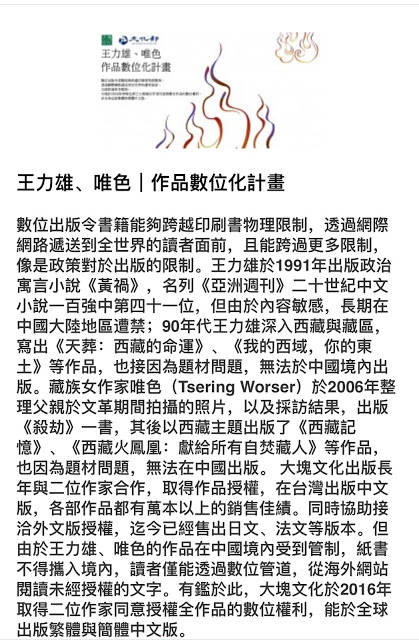 They write near exclusively in Tibetan and Chinese, but the website High Peaks Pure Earth provides English translations of a representative sampling of their works. One of the most well known and outspoken bloggers has been the poet, Woeser, who recently received the “Courage in Journalism” award, but whose computer was hacked last month by the ultra-nationalist China Honker Union, and all her writing deleted. She lives in Beijing, under near constant surveillance. Chinese censors have regularly shut down many Tibetan language blogs and blog hosting services, both in Tibet and China, but Tibetan bloggers have somehow managed to keep on writing, though with ever increasing difficulty. One way many Tibetans have managed to circumvent censorship and shutdowns has been by posting on Chinese social networking sites, such as the popular renren.com. All these activities reflect a broadening of the political and social opposition to Chinese rule in Tibet, and a growing sophistication in the way people have begun to exercise the “power of the powerless”, without it become an absolutely perilous or terminal exercise, as it had been before. Earlier, all public manifestations of opposition to Chinese rule was direct and confrontational. If we look at the Tibetan Uprising of 2008, and also those from 1987 onwards, nearly all of them have been direct clashes with Chinese central authority, with demonstrators waving the forbidden national flag of Tibet and shouting slogans calling for Tibetan independence and the return of the Dalai Lama. These demonstrations, or rather uprisings, have, on every occasion, been met with overwhelming force, shootings, beatings, imprisonment, labor camps, executions and disappearances. But this new phase of the struggle emerging in Tibet just might, because of its awkward (for Beijing) nuances, have a better chance of getting off the ground, before the authorities come up with a way to crush it. For the first thirty years of exile the Dalai Lama and the Tibetan community practiced “living in the truth” with unwavering resolution, holding on to the goal of Rangzen or “independence”, in spite of the disheartening turn of events from the mid-seventies when Communist China became an ally of the West against the Soviet Union, and when most intellectuals and celebrities in the free world (even western visitors to Dharmshala) then, appeared to be besotted with the thoughts of Chairman Mao. The Dalai Lama was not welcome in the West as he is now. In fact he only managed to visit the USA in 1979, although he had been in exile for twenty years before that. He wasn’t, of course, under house arrest in India, but his movements were restricted. There were practically no Tibet support groups in the West and no influential supporters or lobbies in Washington DC or Brussels. But the Dalai Lama stuck to his guns, metaphorically speaking. If you walked into a home, monastery, office, classroom or restaurant in exile Tibetan society then, you would probably have noticed a dull green poster with a quotation (in English and Tibetan) by His Holiness, that eloquently expressed his moral resolve. It had no photograph of him and design-wise was minimal, but it was effective and genuinely inspirational. “Our way may be a long and hard one but I believe that truth and justice will ultimately prevail”. But this period also saw the opening up of China and, more significantly “the China trade”. Slowly and very subtly, from every quarter imaginable, pressure began to be put on the Tibetan leadership to give up its goal of independence. China was going to become a democracy soon, anyway – the argument ran – and everything could be worked out then. Even the fairly successful Tibetan campaign in the US Congress to hold trade with China conditional to improvement of human rights conditions in Tibet, was effectively derailed by the Clinton administration. The president wanted to de-link human-rights and trade and induct China into the World Trade Organization. His administration essentially “persuaded” the Tibetan lobby (The International Campaign for Tibet or ICT) to go in for “constructive engagement” with Beijing. This term now became the new mantra in Tibetan activism circles. One support group in Britain that had campaigned successfully to get Holiday Inn to leave Lhasa had its knuckles rapped publicly by the director of ICT and told, in so many words, to engage China more constructively. 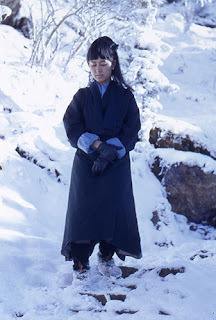 It was made attractively convenient and often profitable for exile Tibetans to “live within this lie”. ICT moved into a posh office suite. The exile government which had till then operated virtually on a shoestring now began to receive funding from a number of Western nations. Tibetan organizations, especially the Dalai Lama, began to receive invitations to attend all sorts of international confabs. 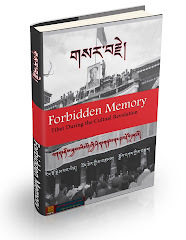 But behind the gestures of sympathy, the invitations, the awards, the grants, and the aid, there often appeared to be a kind of unspoken condition that this might all go away if Tibetans raised the issue (or the “core issue” as the PRC menacingly calls it) of Tibetan independence. The growing interest in Tibet’s unique traditional culture, art and spirituality also gave Tibet a more substantial presence on the international scene than other comparable conflict areas as East Turkestan (Xinjiang). But in a bizarre way this interest and enthusiasm for Tibetan culture also seemed to provide some in the West a kind of convenient rationalization to ignore the on-going destruction of that ancient nation and the real suffering and even potential extermination of its people. The late celebrity photographer, Galen Rowell, actually justified this approach in the introduction to his book, My Tibet : “To dwell on the agony the Chinese have imposed upon his (the Dalai Lama’s) land is to lose most of the essence of his being and his message to the world.” The Dalai Lama seemed to endorse this attitude by his statement that the preservation of Tibetan spiritual culture was more important than struggling for Tibetan political freedom. It should be emphasized that much of this new attention and assistance, especially from small nations, some organizations and even leaders as Nancy Pelosi and Archbishop Desmond Tutu, was genuine, well-meant and unquestionably welcome. No doubt, the influence and reach of the “China lobby” (very broadly speaking) was widespread and effective, but it was not ubiquitous. There was a real possibility that the Tibetan leadership could have stuck to its fundamental national goal, and though encountering temporary setbacks and some cold-shoulders in Western capitals for a time, have hung on to a significant (and more genuine) segment of its support base, and eventually, as China dropped its “soft power” mask (as it is beginning to do right now) rebuilt its international support in a more real and meaningful way. But Dharamshala chose to see the new reality as inescapable and unalterable, and used it as a part excuse, part self-fulfilling prophecy to warn the exile public that if the issue of independence were raised Tibetans would loose their support in the West, that the Dalai Lama would not be welcome anywhere anymore, and that Tibetan refugees might even be deported from the countries where they had found refuge. As all exile Tibetans had till then considered themselves to be engaged in a life-and-death freedom struggle, some kind of “displacement activity” (as Konrad Lorenz would have put it) had to provided for them to deal with the new reality. Experts from various “conflict resolution”, “conflict management” and “conflict mediation” groups and institutions descended on Dharamshala to organize lectures, workshops and symposiums, which even members of the Tibetan cabinet were sometimes obliged to attended. The overriding thinking pushed at these gatherings was that that everything depended on finding a way to accommodate China. Hence anything that might impede the process (i.e. talk of independence) had to be summarily dropped. No one seemed to have caught on that these groups were not there to deliver justice, or even begin a process to seek justice for Tibet, but, as their organizational names made abundantly clear, were there to make “conflict” go away, even if that conflict was a necessary one between survival and extermination – even between good and evil. The simplest way of doing that, especially when one side was invincible, immovable, and a valued trading partner of the West, was to make the other and weaker side give up its dispute. Besides Tibetan officialdom, even some individual Tibetans living and studying in the free world were seduced into this new way of thinking. A Tibetan MBA made the far-reaching discovery that doing business with China was the only way to save and modernize Tibet. One PhD deployed his newly acquired academic skills to re-interpreting Havel’s actual phrase “the power of the powerless” to mean the conference hopping, resume bolstering, grant seeking and other essentially self-serving activities, that passes for “activism” in a section of the Tibetan exile world. A few previous independence activists now set up “outreach” and “bridge building” projects inside Tibet (in collaboration with Chinese authorities, of course) and on a few occasions even spoke out publicly against Tibetan independence and those still contending for it. Their (the NGOs) real contribution is that they defuse political anger and dole out as aid or benevolence what people ought to have by right …They alter the public psyche. They turn people into dependent victims and blunt the edges of political resistance. NGOs form a sort of buffer between … Empire and its subjects. They have become the arbitrators, the interpreters, the facilitators. In the long run, NGOs are accountable to their funders not to the people they work among. Aung San Suu Kyi’s celebrated “Freedom From Fear” speech begins: “It is not power that corrupts but fear. Fear of losing power corrupts those who wield it and fear of the scourge of power corrupts those who are subject to it.” The Tibetan exile government and certain Tibetan individuals in the free world do not have to fear the Chinese military, the PSB, slave labor camps, prisons, torture or execution, but they fear loosing access to opportunities and privileges they enjoy at present in the free world, which they have convinced themselves is conditional to their silence on the most crucial issue of Tibetan freedom and sovereignty. And that fear corrupts them and undermines the revolutionary struggle that is being carried on inside Tibet, and even outside still, in a small way, by a marginalized but committed number of Tibetans and friends. After her release some media commentators suggested that Aung San Suu Kyi, might be sidelined in the present Burmese political scene, since she had been out of touch with the Burmese public and new leaders had emerged from within the opposition groups. But the ecstatic and universal public response to her release, even from young Burmese who had probably never actually seen her in person, demonstrated that she had lost none of her appeal. She was soft-spoken and levelheaded as always. She spoke politely of the military dictatorship and even respectfully of the army as a national institution. She made no calls for “regime change”, but on the fundamental issue of her life-long struggle for democracy there was no question that the power of the powerless would ever be relinquished.